Andre Perry is a David M. Rubenstein Fellow in the Metropolitan Policy Program at the Brookings Institution. His research focuses on race and structural inequality, education, and economic inclusion. Of particular note, Perry’s recent scholarship at Brookings has analyzed majority-black places and institutions in America, focusing on highlighting valuable assets worthy of increased investment. Prior to his work at Brookings, Perry has been a founding dean, professor, award-winning journalist, and activist in the field of education. In 2015, Perry served on Louisiana Governor-elect John Bel Edward’s K-12 education transition committee, as well as New Orleans Mayor-elect Mitch Landrieu’s transition team as its co-chair for education in 2010. In 2013, Perry founded the College of Urban Education at Davenport University in Grand Rapids, MI. Preceding his stint in Michigan, he was an associate professor of educational leadership at the University of New Orleans and served as CEO of the Capital One-University of New Orleans Charter Network. A native of Wilkinsburg, Pa., Perry earned his Ph.D. in education policy and leadership from the University of Maryland College Park. Jasiri X’s work is synonymous with the artistic dialogue needed in today’s political climate. He is the first independent hip-hop artist to be awarded an Honorary Doctorate and is deeply involved with the national Movement for Black Lives, though remains rooted in Pittsburgh through organizations he has co-founded under the banner of 1Hood. Jasiri’s focus on social change has also touched the global arena, commissioned by The Open Society Foundation to travel to Columbia to create a film (War on Us with Grammy Award-winning hip-hop artist Rhymefest) that highlights the international effects of US drug policy. One of the most important political voices of his generation, in 2018, he was named a Rockefeller Foundation Bellagio Center Resident, in 2017, a Nathan Cummings fellow and in 2015, a USA Cummings Fellow, a BMe Fellow and a Robert Rauschenberg Foundation Artist as Activist Fellow. Mike Skirpan is an ethicist, writer, artist, educator, and concerned citizen based out of Pittsburgh, PA. Currently he serves as the executive director at Community Forge and as a special faculty member at Carnegie Mellon University. He received his PhD from CU-Boulder's Department of Computer Science in Fall 2017. His research spans topics such as design fiction, technology ethics, classroom design, engineering ethics pedagogy, futures, and risk. 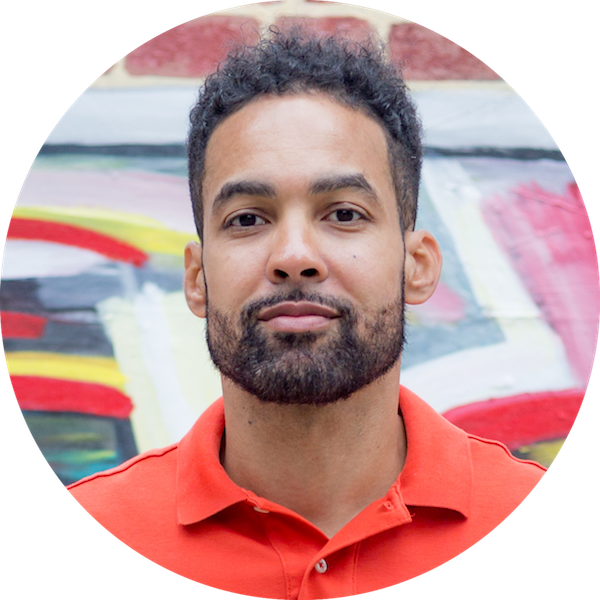 He is now the executive director at Community Forge, a mission-driven organization dedicated to rehabbing the Johnston Elementary School in Wilkinsburg, PA into a community centered focused on education, arts, civics, and local business development. His technical work is now done through a social enterprise, Probable Models, that focuses on supporting and exploring ethical technologies. Charles Cook is a Personal Trainer, Entrepreneur, Life coach and Motivational speaker on health and fitness. For over 20 years, Cook has trained individuals from Governors, Journalist, Models and many other professional workers. Cook’s clients consist of those just starting out on their journey to health and others who are looking to enhance their existing exercise program. As a nationally certified Personal Trainer, Master Fitness Trainer, and Weight Loss Specialist, Cook specializes in meeting the needs of obese individuals, the elderly and athletes. Cook is more than a fitness trainer he is a motivator with a purpose and passion to serve.